…it’s gotta be a quarter til’ four (sorry, didn’t realize you were here). 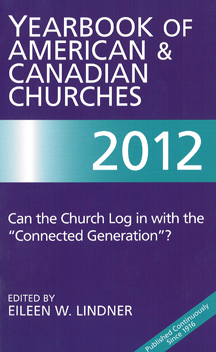 According to the National Council of Churches, it’s not my denomination out there knocking on doors… is it yours? Their statistical findings reveal that there is a sharp decline in membership and giving within most of the major denominations of the Christian community. So who is that at my door then? If positive growth is any indicator, then it’s probably the Church of Jesus Christ of Latter Day Saints, the Jehovah’s Witnesses, or a member of the Seventh Day Adventists. Although it could be the Pentecostal Assemblies of the World. Interesting… very interesting. Take a look for yourself here. This entry was posted in Church News, Missions and tagged Christianity, Church of Jesus Christ of Latter Day Saints, Jehovah Witnesses, National Council of Churches, Pentecostal Assemblies of the World, Seventh-day Adventist Church. Bookmark the permalink. 3 Responses to Who’s That Knocking at My Door? Until “Let Christ do it through me” becomes the defining mantra rather then “Let Christ do it through them” our churches won’t be all that effective. My church and my minister train and “coach” us in being living witnesses for Him and His Saving Grace every where we go, every single moment. Thanks for the Interesting post! This question gives me pause considering how effective is “knocking on doors.” Christianity is necessary, yet it appears in America, it declines because at times, beyond their hospitable invitations, churches talk more then they respond to the commands of Christ. If people fail to see truly humble, Spirit-led actions outside the steeple’s bricks and mortar, then decline is inevitable. Has our knowledge for Christianity overwhelmed the cost of discipleship. Maybe it’s long overdue we stop reading statistics of decline and become elements of change.